You must drive down the road no 791 from Zawiercie towards Olkusz. In Ryczówek turn left towards Bydlin. In Bydlin you need to drive down the main road and head for Dłużec. When you notice the chapel and the cemetery on the right side of the road, you should park by them and go down the dirt road directly opposite the chapel into the forest. 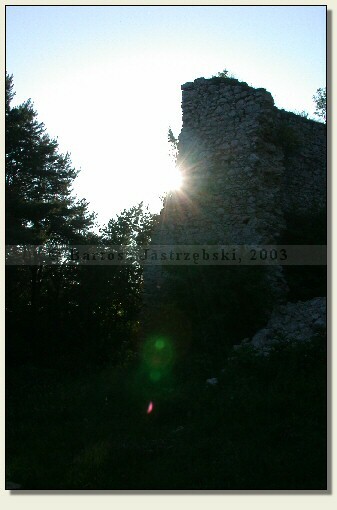 After covering around 200m the ruins of the castle will unfold before our eyes. 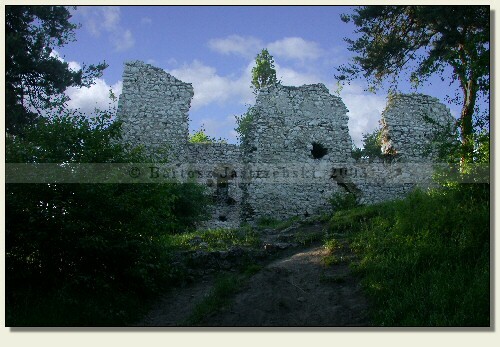 The Bydlin Castle (or as other sources give – the Zalęże fortalice) came into existence in the XIVth cent. and appears in numerous documents written down after 1389. 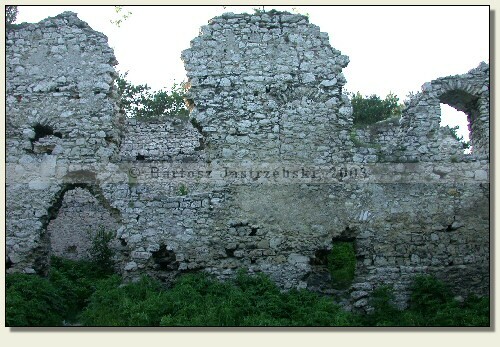 The builder of the castle was probably Niemierza of Strzała coat of arms or his father Pełka. At the end of the XVth cent. 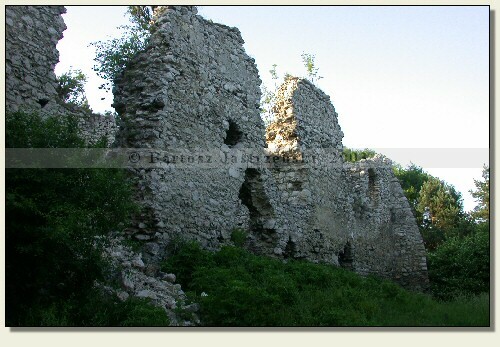 the stronghold became the Brzezickis’ property, and then the Szczepanoskis’ and the Boners’. In the second half of the XVIth cent. 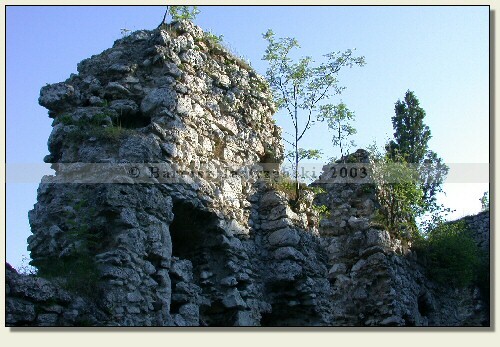 Jan Firlej transformed the castle into the Arian Protestant Church, and at the end of the XVIth cent. 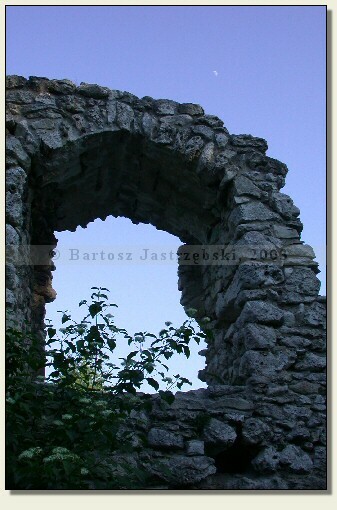 his son, Mikołaj Firlej, converted it into the Catholic Church of the Holy Cross. 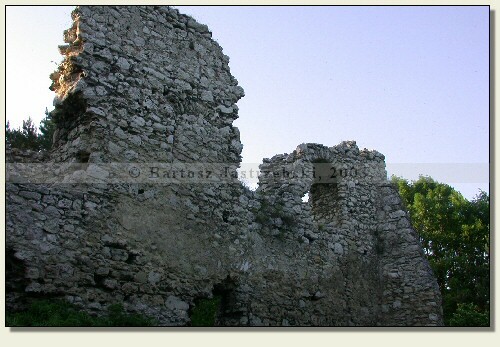 The building was ultimately abandoned at the end of the XVIII cent. due to escalating assaults of the brigands and since then it has been falling into ruin. 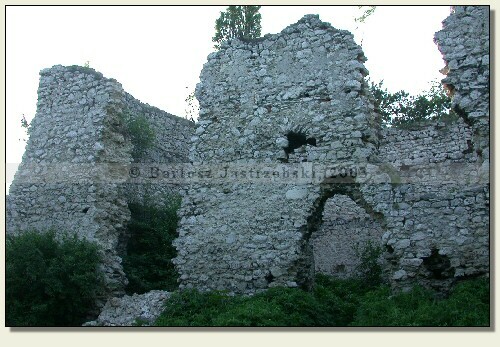 The latest explorations of the castle were conducted in 1989 by B.Muzolf.